Over the years, Shaw studied with Oscar Peterson, taught piano to John Medeski, and worked with countless jazz luminaries including Arnie Lawrence, Frank Foster, Pepper Adams, Zoot Simms, Al Cohn, Al Grey, Richard Davis, Slam Stewart, Eddie Jones, Eugene Wright, and Jymie Merritt. Band leaders such as Lionel Hampton, asked her to join their groups, but she turned down these offers in order to focus on her jazz trio. In 1993 she was inducted into the Oklahoma Jazz Hall of Fame. 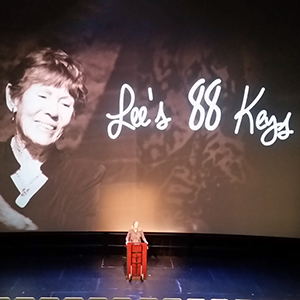 Her story is one of passion and triumph, all of which she attributes to her love of the 88s.